Here’s the update from our very own RS500 guru, Michiel Geerling! In the twelve years since its launch, the RS500 has established itself as one of the most successful and international modern classes, with competitive racing at club, circuit and championship level, plus a lively social scene. That success is set to build into a new era. Following an extensive collaboration between the RS500 International Class Association and RS Sailing, a series of updates have been targeted. However, it was important to retain the one-design performance, crew range and the handling enjoyed by so many sailors. The most visible change will be the recess for the spinnaker chute. A bit wider and with a new tackplate, using tape to cover the chute will now be avoided. Also, the better drainage ducts as per the RS Aero are both visible changes. The amount of water coming in the boat while sailing backwards or laying still is limited by these new drainage ducts and it prevents sheets going through the ducts while water comes out. The sail material will change and become black in colour for a modern look and feel. The design of the sails will still be the same. Ensuring the underwater profile of the hull stays the same, subtle changes have been made to the hull. Under the surface, the internal structure is now constructed from foam cored GRP laminate, replacing the old plywood construction. This reduces the weight of this structure, allowing the laminate strength to be increased in historically vulnerable areas without any overall weight difference. Change in the resin from polyester to vinylester to reduce water ingress and weight changing of the hulls over years has also been made. Also, RS Sailing will be changing deck seam to add strength to the construction for longevity. Another successful subtle improvement was made upon request from the class to design a better recess for the slot gasket that damages less easily. 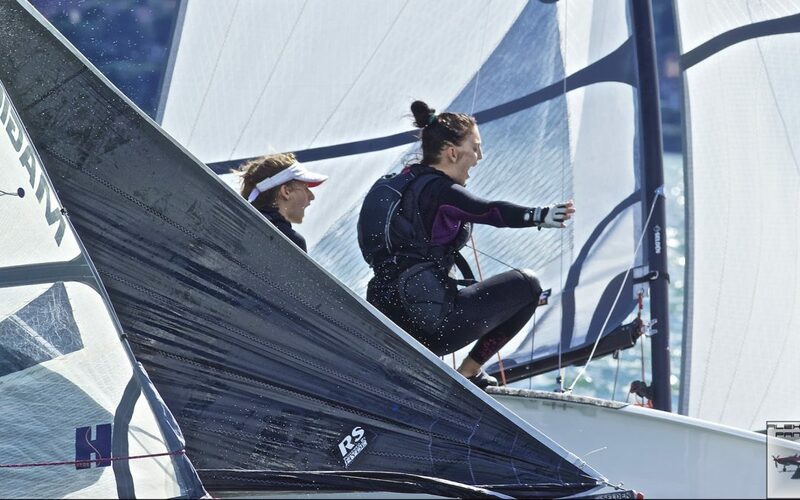 The centreboard case will continue to have the same system with stir-ups, but the design of the case will be enhanced to prevent the stir-ups from leaving their case. There will be no deck hole going through the gunwale for the shrouds and spinnaker sheets to avoid leaking through these areas; recessed fairleads in the deck will be added to replace the deck holes. Better leads for jib cleats and spinnaker halyard should result in improved ease of use for different crew combinations. Last, but not least, The Mark 2 RS500 will have a recess for pro-grip on side deck. This will keep the pro-grip in place and stay nice for a longer time and will look smart. Also pro-grip on the cockpit floor is becoming an option. RS Sailing together with the RS500 Class Association are really excited to announce that there was a 100% vote from Class Association members for the MK2 changes. RS Sailing will be supplying MK2 RS500s from May 2019. If you interested in buying a new RS500, please do not hesitate to get in touch. The boat is clearly the RS500 we all know and love, but it has gained a smart, fresh new look with significant underlying technical improvements. There’s an impressive amount of Class activity planned this year, head over to the RS500 Class Association website to find out about Championships, events, training and socials!